Dubai is an amazing city, combining oriental traditions with cutting-edge architecture. It has turned into a platform for the implementation of the most large-scale architectural projects. 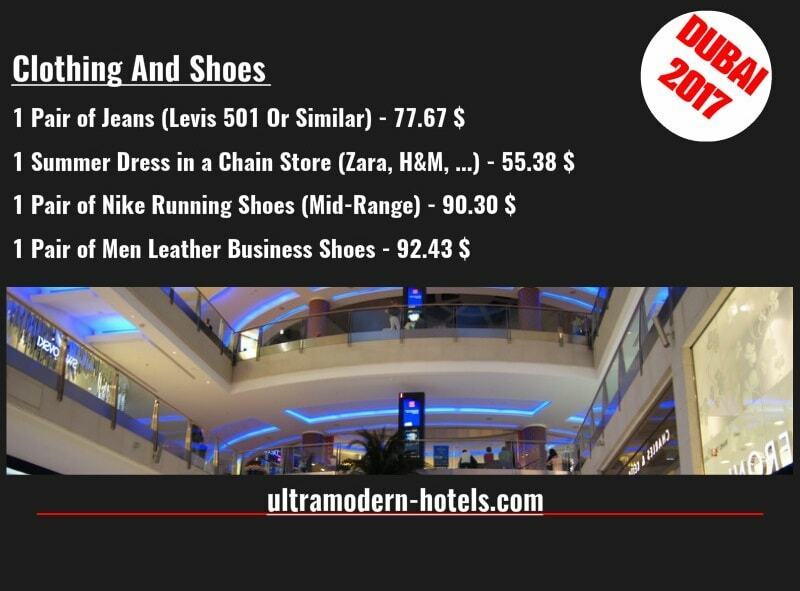 It is one of the most visited resorts in the world. 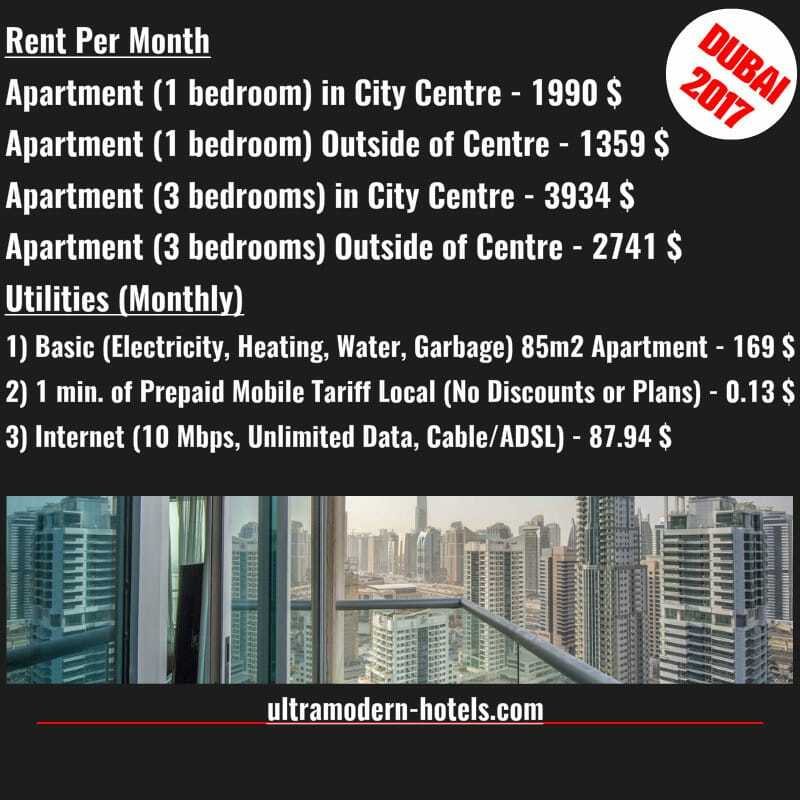 What are the prices for living and recreation in Dubai in 2017? 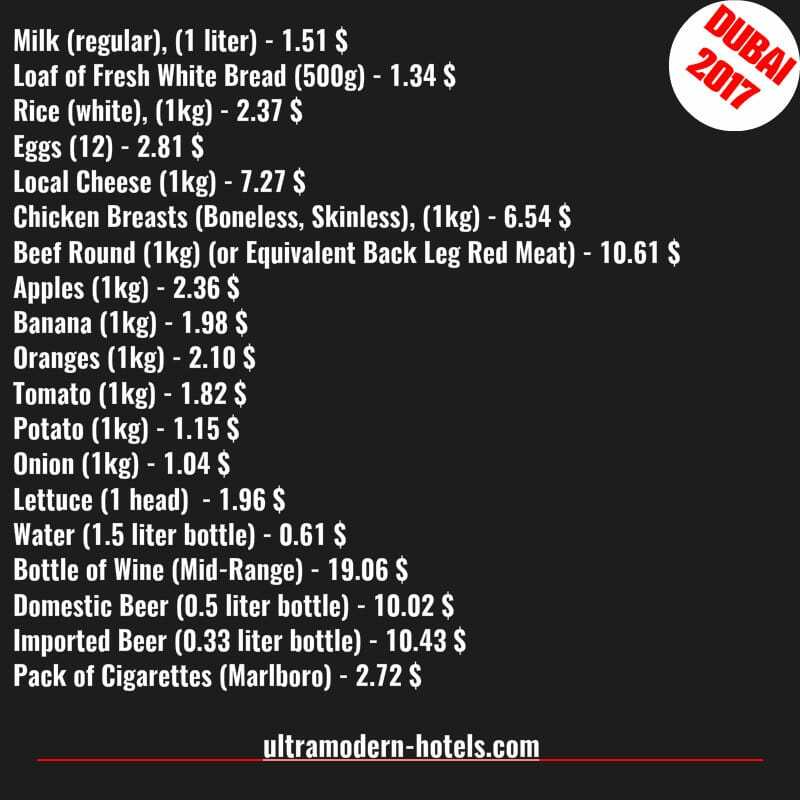 Today we will consider the actual prices for entertainment, excursions, food, real estate rental, transport, utility bills, shopping in Dubai. 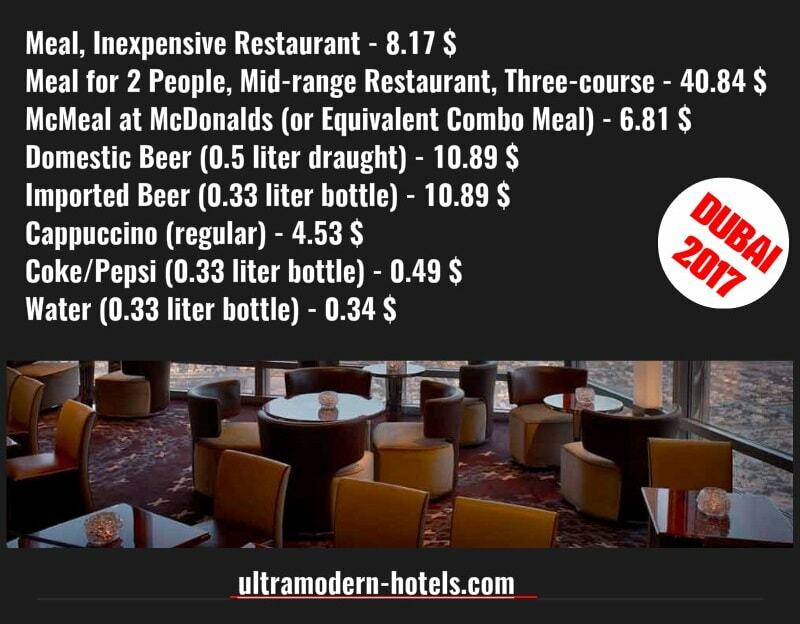 For convenience, all prices were converted to US dollars. Ticket to the observation deck of Burj Khalifa. “At the top level 125+12″ – Adult (12 years +) General Admission AED 125 (34 $); child (4-12 years) General Admission – AED 95 (26 $). At the top Sky level 148+125+124” – Adult (12 years +) – AED 350 (95$); child (4-12 years) – 350 (95$). Skydive Dubai (Jump with an instructor) – 1999 AED (544 $). Safari in the desert (in jeeps) – 53 $. 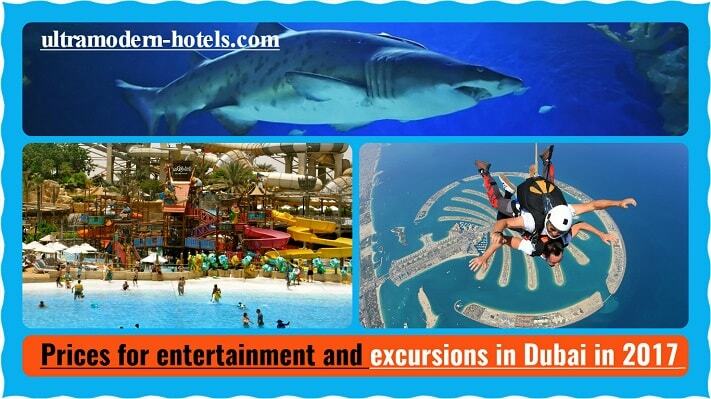 Dubai Aquarium and Underwater Zoo (The Dubai Mall) – from 100 AED (27 $). 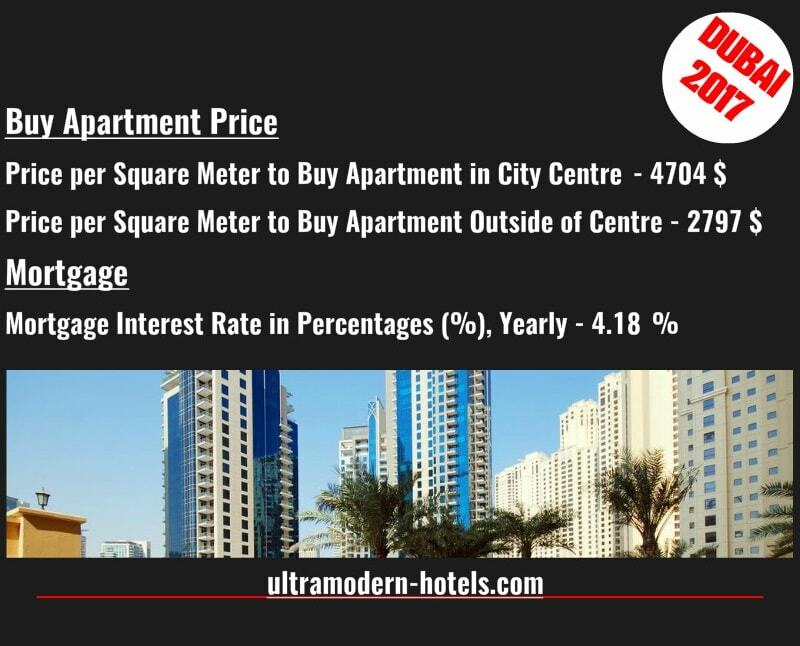 Wild Wadi Waterpark: Above 1.1m – AED 295 (80 $), below 1.1m – AED 245 (66 $). Dubai Marina (boat ride with dinner) – For an adult – $ 60, children – $ 40. 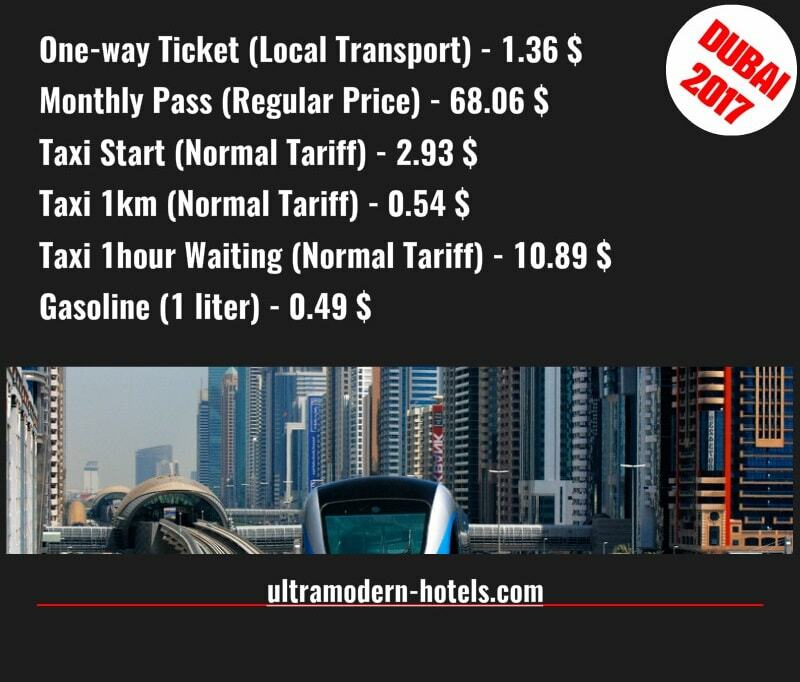 The main and cheapest public transport in Dubai is an automated train without drivers.